Welcome to J. W. Davis Insurance Brokers Ltd. servicing the community since 1936. We’re famous for our friendly, personal help. Tailoring your policy is our passion. It’s what we do! Helping to explain coverage options, insurance rates, the claims process, and any questions you may have about your policy or insurance in general. Breaking down a policy with regards to coverage, deductibles, special limits and more can all be explained and tailored for you by your broker. 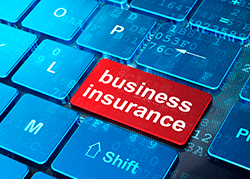 Showing you how to reduce more of the manageable exposures within your business and suggest an insurance mix that takes your risk tolerance into account. At J. W. Davis we think not only about gaining a client for today, but to ensure their needs continue to be met for tomorrow. We offer more than just home and auto insurance with a wide variety of policies to help you manage your insurance needs. Tailoring policies is our passion. It’s what we do! At JW Davis Insurance Brokers we have a number of experienced and educated brokers. We can offer a comparison quote fairly quickly. However, we pride ourselves in tailoring your coverages to meet your needs. Often resulting in savings either immediately or in the future. Our experienced and educated brokers can help tailor a policy for your home, auto or business. We have represented some of the top insurance companies since 1936. We are able to place insurance on your high valued homes and autos, rental units, cottage, RV, motorcycle or boat. There are very few assets that we cannot insure. Please call our office and speak to one of our brokers to help find the right coverage with the best company. 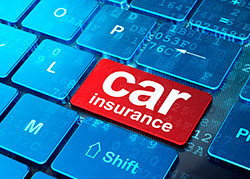 Are there advantages in insuring more than one policy with the same company? All of our insurance companies offer discounts not only for insuring your home and auto with the same company but we represent companies who will offer discounts for our businesses as well. Our role at JW Davis Insurance Brokers is to apply all the relevant discounts such as Multi Vehicle, Renewal Discounts, Non-Smokers, Claims Frees and more. We tailor your policy to meet your needs. It’s what we do! We have over 80 years experience providing expert insurance advise. A hands-on team of brokers are always here to help. Our experienced brokers will ensure the right policy for you. Would you like to speak to one of our registered brokers over the phone? Just submit your details and we’ll be in touch shortly. You can also email us if you would prefer. We are offering standard and most specialty general insurance. Based in Mississauga but reaching Province wide, our goal is to cater to and tailor our clients insurance to their specific needs. © 2017 J.W. Davis Insurance Brokers Ltd.